Daniel Coyle is the New York Times bestselling author of The Talent Code, The Little Book of Talent, The Secret Race, Lance Armstrong’s War, and Hardball: A Season in the Projects. Coyle, who works as an advisor to the Cleveland Indians, lives in Cleveland, Ohio, during the school year and in Homer, Alaska, during the summer with his wife, Jen, and their four children. 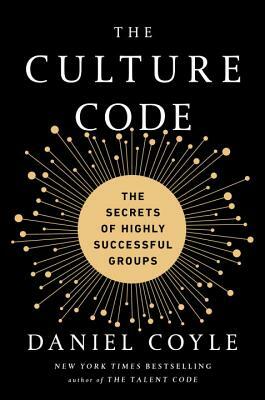 “The Culture Code is a step-by-step guidebook to building teams that are not just more effective but happier. Whether you lead a team or are a team member, this book is a must-read.”—Laszlo Bock, CEO of Humu, former SVP of People Operations at Google, and author of Work Rules!